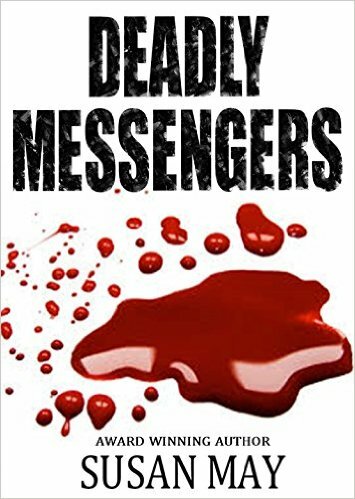 I just finished Deadly messengers by Susan May. I was lucky enough to get an advance review copy, and have had some wonderful conversations with this author. In this story, Susan conquers the much controversial subject of SSRIs linked to violence. Although I didn’t agree with some of the viewpoints in the story, which are not necessarily the viewpoints of the author-as she explains in a disclaimer, and only meant to be used as fiction, I really enjoyed this fast-moving novel. Kendall, a freelance reporter, is sucked into the world of a man bent on revenge. As he uses mind-control over his victims to enact his revenge, Kendall has no idea how far this killer will go. This entry was posted in Uncategorized on August 27, 2015 by Victoria Schwimley. I didn’t need a near-death illness to make me realize how much I love my aunt. I already knew that. What it did make me realize is how muh I would miss her if she were gone. What would I do if I couldn’t see her at our annual family Christmas parties. How would I handle it if, when I had an impending book release, she wasn’t there to cheer me on and encourage me with her words of praise. What if she wasn’t there when I just needed to hear her voice? Thankfully, I won’t have to find out. After days of worries and prayers, finally good news. What I want to encourage others to do is, never take for granted what we have in our lives. The people we love, relate to, admire…might not always be here, so be grateful and ALWAYS show your love. This entry was posted in Uncategorized on August 23, 2015 by Victoria Schwimley. Okay, so I’m getting into doing my own book trailers, and I have to say I’m having a lot of fun. Check them out. This entry was posted in Uncategorized on August 8, 2015 by Victoria Schwimley. It’s sometimes difficult for writer’s to know the balance between writing and spending time with family and friends. Or, for that matter how to balance other hobbies we love to do, as is attested to by the stacks of fabric sitting on my shelf, waiting to be cut and sewn. It’s especially difficult for writer’s who still depend on the other job to sustain our lives. I’m no different. I just want to set the record straight. We still love you, and although it’s hard to understand how we can sit at a computer so long, it’s necessary. So, I just released a new book, Grand Theft, and signed an audio deal for recording it, and just passed off another book for editing, I’m taking the weekend off. I will not look at a novel I’m working on for the entire weekend. I will not write anything outside of this blog post. I am going to sew dresses for my granddaughters, go to church, play games with my family. I will see you all on Monday. I encourage fellow writers to do the same….just to let our family and friends know we still love them. This entry was posted in Uncategorized on August 1, 2015 by Victoria Schwimley. You’ll fall in love with the girls! A word about Karrine and Jayden, the two heroine’s of this story. I’ve made no secret about the fact that these characters are real girls, and as such are just as quirky and loveable. Karrine does correct grammar, and is always quick to point out a misspelled word when reading a manuscript. She loves to YouTube and has many followers. She also loves to write. She’s also very consciences about peoples’ feelings. Jayden is devoted to her family and loves to spend time with Karrine. She’s also quite spiritual with a lovely heart. She loves to create things, and is currently writing a book herself. I hope you enjoy reading about their stories. But keep in mind, the situations are completely fabricated and in no way resemble anything that has actually happened. Look for more of my grandchildren in future books.